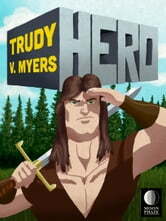 A young man has been an avid fan of the old legends of heros and their adventures his entire life. When he leaves home, he sets out in search of his own adventures. The very first incident he comes across, however, proves just how hard those adventures can be to survive.